These programmes provide the best foundation on the path to becoming a professional dancer and for students aspiring to train full-time at the New Zealand School of Dance. Students are chosen by audition, ensuring those with aptitude can take class with similarly talented dancers. Classes complement the student’s current dance training while providing first-hand experience of the School’s teachers, training style and facilities. At the completion of Scholars Level 6 and/or Senior Associates, and having completed Level 1 NCEA, it is expected students will audition for full-time training at NZSD. The Scholars programme provides training for classical ballet students from the age of 10 (year 6 at school). The programme focuses on the principles of movement, incorporating the definitions of techique as required in ballet, while embracing musicality and artistry. Classes are small and the ballet training is supported by allied subjects such as body conditioning. The level of technique and the frequency of classes increase annually to the age of 16 in preparation for the School’s full-time course. While the programme focuses on dancers from the lower North Island, under special circumstances students from other regions are invited to participate. Student progress through a tiered structure is assessed each year and from Level 4 students participate in the four weekends of the Associates programme. The programme incurs term fees. Progression beyond Level 2 is at the discretion of the School. The Associates Programme identifies ballet and contemporary dance students who have the talent for a career in dance performance. 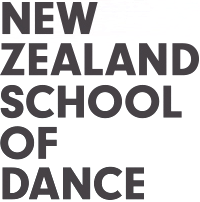 Associates travel from throughout the country to the New Zealand School of Dance in Wellington for four weekends of tuition a year. A tiered structure sees students aged 13 – 16 (years 9-11 at secondary school)progressing through the programme as Junior, Intermediate and Senior Associates. Associates can attend masterclasses in their region hosted by the Royal New Zealand Ballet, and once a year Senior Associates join the full-time students for an immersion week. The School actively encourages entry at Junior Associate level (year 9 at School). Current Associates do not need to re-audition annually, however they are assessed regularly and continue on the programme by invitation only. The programme is free of charge, but students must cover their own travel and accomodation costs. Those wishing to enter full-time training at NZSD are required to attend the full-time audition.